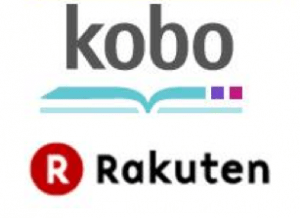 Rakuten didn't reveal very many details about Kobo in its annual report on Thursday but the news for the rest of the company was generally good. 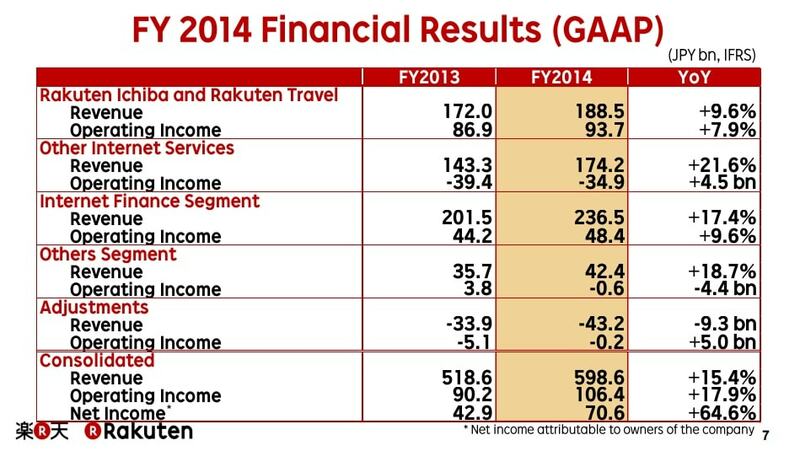 Over all, Rakuten reported fiscal year 2014 revenues totaled 599 billion yen, up 15.4% from FY13. That comes to about $5 billion USD, a figure which is smaller than Amazon's local revenues for Japan, the UK, or Germany. You can find the PDF slide deck here. Overall, business was good. Revenues were up thanks to the acquisition of eBates. Rakuten announced that they were boosting the dividend to 4.5 yen per share. In ebook news, Rakuten didn't say much but as you can see in the slides they did report that Kobo lost less money than in the previous year (slide 19 mentions an increase of 2 billion yen EBITA). In February 2014 Takahito Aiki replaced Micheal Serbinis as CEO. As Rakuten explained in their last annual report, Aiki had previous experience with Rakuten as a turnaround specialist; in his last position as CEO of Fusion Inc, a Rakuten telecom sub, he turned a money pit into a positive revenue source. There were no specific details for Kobo revenues, but slide 60 does mention ongoing loss shrinkage. Kobo has also cut its hardware inventories by 60%, and is reporting a gross profit growth of 29% YoY. Kobo boasted 22.9 million registered users in December 2014, an increase of 25% over the previous year. That figure includes the customers Kobo gained in taking over accounts from Sony's ebookstore, which closed this spring, but doesn't include the 100,000 or so customers Kobo will gain from Tesco's Blinkbox Books, which is in the process of closing. It’s pretty tough to draw and comparisons with Amazon Kindle since Amazon doesn’t break out much in the way of detail for Kindle, either. I am struck by how few customers were gained through absorbing Sony Ebook business — there is nary a blip in customer growth. That must mean that a huge percentage of Sony customers were ALSO Kobo customers. This also suggests that most Kobo customers may also have Amazon Kindle accounts. So the real war over time will be who services the customer best. (That explains the daily emails I get from both camps.) Given that more and more ebook reading is consumed on tablets, and most tablets support both platforms, consumers can be customers of both going forward. In the end, that’s probably the best outcome for this industry. There’s a graph in the slide deck which charts the growth of Kobo’s userbase; you’re absolutely right that we can’t see the impact of the Sony closure.